Kondo’s revolutionary methods teach you to forget the never-ending job of picking away at the problem room-by-room or day-by-day. Her approach is to take a swift and brutal look at everything in your home by category – clothes, books and magazines, kitchen items, etc. If you don’t use it, need it, love it, pitch it. The author’s philosophy is simple…“A dramatic reorganization of the home causes correspondingly dramatic changes in lifestyle and perspective. The effect is life-transforming.” How’s that for a New Year’s resolution? Marie Kondo’s latest book, Spark Joy will be released as this issue of Well-Being is hitting the stands. 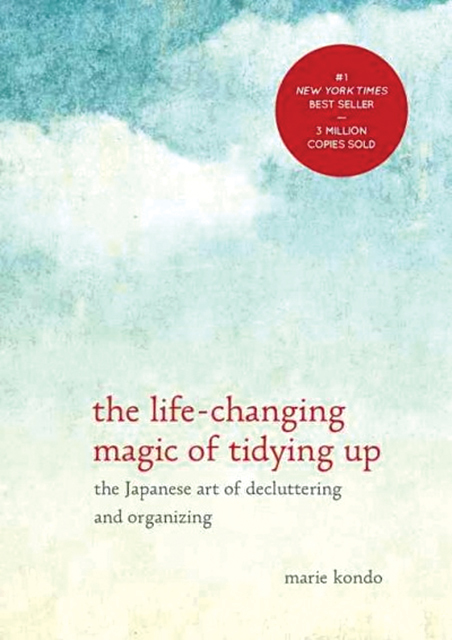 If you are a follower of the “Kondo way” and need new inspiration, check it out.